Please get in touch to discuss your requirements or to check availability for courses. Mal holds the Mountaineering Instructor Certificate (MIC) and is a fully qualified British Mountain Guide (BMG). He is also a member of the International Federation of Mountain Guides Association (IFMGA), the Association of Mountaineering Instructors (AMI), Llanberis Mountain Rescue Team, the Alpine Club and the Outdoor Writers and Photographers Guild. Mal has contributed to many outdoor magazines and produced several books, including Rock Climbing Essentials (1998) and, with Neil Gresham, The Complete Rock Climber (1999). Several further books followed and to date there are around 10 other titles, almost all of which are instructional books on rock climbing and mountaineering. Mal's extensive guiding experience includes working with novices and many ascents of Mont Blanc and the Matterhorn. He has spent a number of years working at Plas y Brenin, the National Mountain Centre at Capel Curig, where he headed up the Winter Mountaineering Department for three years. 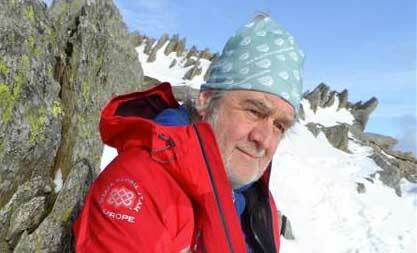 Barry, a qualified International Mountain Leader (IML), has been walking, trekking, rock climbing and mountaineering throughout the UK and in the greater Alpine regions for almost 25 years. He has also climbed to several major summits in South America. His favourite mountain areas outside of the UK are the Dolomites and the Mont Blanc range though he's completed hundreds of other routes and peaks. In the off-season he helps instruct Mountain Leader courses in the UK and is an accredited Course Tutor for Hill Skills.